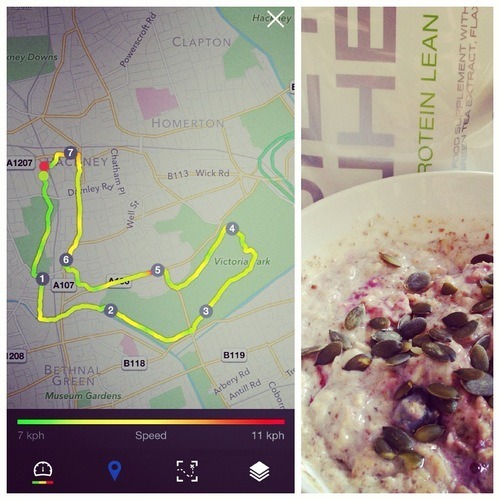 Tuesday – 25 minutes (hard) – Managed 22 minutes up and down the hills of Hendon. It reminded me how flat Hackney is and how I’m not used to hills! Thursday – 40 minutes (moderate) – This just didn’t happen but I did stay up until midnight painting my new bathroom if that counts? Sunday – 50-55 minutes – Well deserved rest day! 2 weeks to go until the race and I’m going to draw my (time)line in the sand. I’m going to be aiming for under 70 minutes which is about the pace that I’m currently running at. 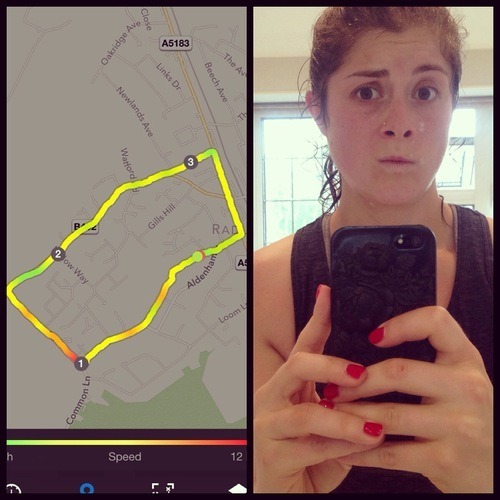 Seeing as I’ve never run 10k before, whatever I manage will be a PB!